F-100A-15-NA 53-1573 APR06 P Seymour Johnson AFB (NC) Displayed in Wing Cmdr paint as "54-1814"
F-100C-1-NA 53-1709 OCT78 P Castle Air Museum Former Castle AFB (CA) displayed as F-100D "55-2789"
F-100D-15-NA 54-2299 JAN07 B Joe Davies Heritage Airpark, Plant 42, Palmdale (CA) "Spirit of Palmdale"
F-100D-65-NA 56-2993 SEP94 NIAGARA FALLS APT. F-101 53-2431 72 ORANGE COUNTRY APT. F-101 56-0112 GILA BEND (AZ), MUN.APT. 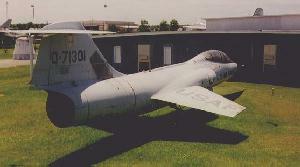 F-101 56-0130 GILA BEND (AZ), MUN.APT. F-101 56-0185 SEP79 NIAGARA FALLS APT. 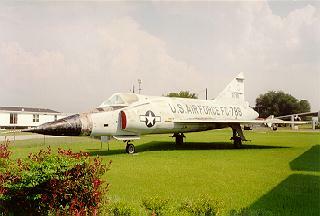 F-102A-65-CO 56-1140 JUN02 P Aerospace Museum of California, Sacramento (CA) as "55-431"
F-102 56-1252 JUN01 P ELLINGTON AFB Now Labeled "LT. G.W.Bush"
Previously Texas Air Museum (TX) ? 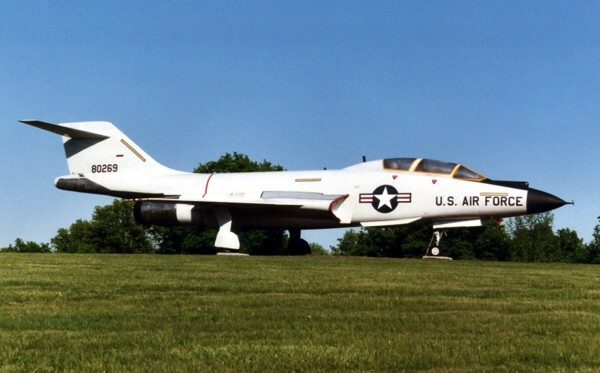 F-102A ? 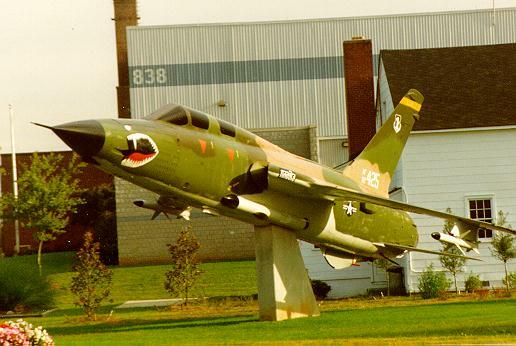 SEP05 Soesterberg Fliegbasis (NL) "032"
F-104 56-0791* 94 ALEXANDRIA (LA), RAYFORD ENT. 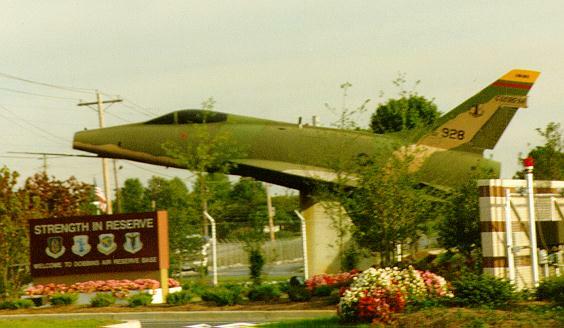 F-104C 56-0934 JAN02 P B Seattle Museum of Flight (WA) as "NASA 820"
F-105D-25-RE 61-0188 AUG03 P Tactical Air Command Memorial Park, Langley AFB (VA) AS "10217"
QF-106 59-0043 To NJ ANG?